Data compression is primarily seen as a file compression algorithm. After all, the main objective is to save storage space, is it ? With this background in mind, it's also logical to focus on bigger files. Good compression achieved on a single large archive is worth the savings for countless smaller ones. However, this is no longer where the bulk of compression happen. Today, compression is everywhere, embedded within systems, achieving its space and transmission savings without user intervention, nor awareness. The key to these invisible gains is to remain below the end-user perception threshold. To achieve this objective, it's not possible to wait for some large amount of data to process. Instead, data is processed in small amounts. This would be all good and well if it wasn't for a simple observation : the smaller the amount to compress, the worse the compression ratio. 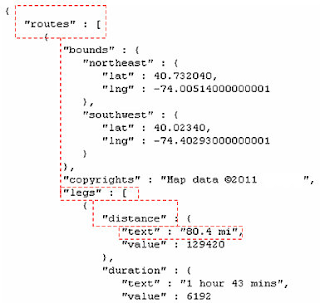 The reason is pretty simple : data compression works by finding redundancy within the processed source. When a new source starts, there is not yet any redundancy to build upon. And it takes time for any algorithm to achieve meaningful outcome. Therefore, as the issue comes from starting from a blank history, what about starting from an already populated history ? A first solution is streaming : data is cut into smaller blocks, but each block can make reference to previously sent ones. And it works quite well. In spite of some minor losses at block borders, most of the compression opportunities of a single large data source are preserved, but now with the advantage to process, send, and receive tiny blocks on the fly, making the experience smooth. However, this scenario only works with serial data, a communication channel for example, where order is known and preserved. For a large category of applications, such as database and storage, this cannot work : data must remain accessible in a random fashion, no known "a priori" order. Reaching a specific block sector should not require to decode all preceding ones just to rebuild the dynamic context. For such use case, a common work-around is to create some "not too small blocks". Say there are many records of a few hundred bytes each. Group them in packs of at least 16 KB. Now this achieves some nice middle-ground between not-to-poor compression ratio and good enough random access capability. This is still not ideal though, since it's required to decompress a full block just to get a single random record out of it. Therefore, each application will settle for its own middle ground, using block sizes of 4 KB, 16 KB or even 128 KB, depending on usage pattern. Preserving random access at record level and good compression ratio, is hard. But it's achievable too, using a dictionary. To summarize, it's a kind of common prefix, shared by all compressed objects. It makes every compression and decompression operation start from the same populated history. Dictionary compression has the great property to be compatible with random access. Even for communication scenarios, it can prove easier to manage at scale than "per-connection streaming", since instead of storing one different context per connection, there is always the same context to start from when compressing or decompressing any new data block. A good dictionary can compress small records into tiny compressed blobs. Sometimes, the current record can be found "as is" entirely within the dictionary, reducing it to a single reference. More likely, some critical redundant elements will be detected (header, footer, keywords) leaving only variable ones to be described (ID fields, date, etc.). For this situation to work properly, the dictionary needs to be tuned for the underlying structure of objects to compress. There is no such thing as a "universal dictionary". One must be created and used for a target data type. Fortunately, this condition can be met quite often. If you know what you are going to compress, you can create a dictionary for it. The key is, since it's not possible to create a meaningful "universal dictionary", one must create one dictionary per resource type. How to create a dictionary from a training set ? Well, even though one could be tempted to manually create one, by compacting all keywords and repeatable sequences into a file, this can be a tedious task. Moreover, there is always a chance that the dictionary will have to be updated regularly due to moving conditions. This is why, starting from v0.5, zstd offers a dictionary builder capability. Using the builder, it's possible to quickly create a dictionary from a list of samples. The process is relatively fast (a matter of seconds), which makes it possible to generate and update multiple dictionaries for multiple targets. But what good can achieve dictionary compression ? To answer this question, a few tests were run on some typical samples. 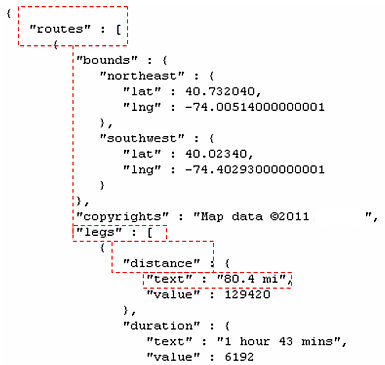 A flow of JSON records from a probe, some Mercurial log events, and a collection of large JSON documents, provided by @KryzFr. These compression gains are achieved without any speed loss, and even feature faster decompression processing. As one can see, it's no "small improvement". This method can achieve transformative gains, especially for very small records. Large documents will benefit proportionally less, since dictionary gains are mostly effective in the first few KB. Then there is enough history to build upon, and the compression algorithm can rely on it to compress the rest of the file. Dictionary compression will work if there is some correlation in a family of small data (common keywords and structure). 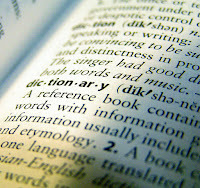 Hence, deploying one dictionary per type of data will provide the greater benefits. Anyway, if you are in a situation where compressing small data can be useful for your use case (databases and contextless communication scenarios come to mind, but there are likely other ones), you are welcomed to have a look at this new open source tool and compression methodology and report your experience or feature requests. Zstd is now getting closer to v1.0 release, it's a good time to provide feedback and integrate them into final specification. Very cool! Will there be an API for the dictionary builder or will it only be a command-line utility? 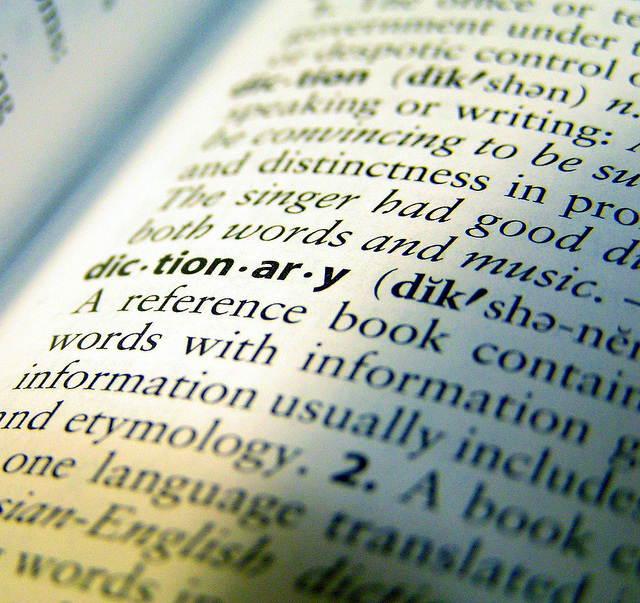 There is an API already availableefor the dictionary builder : look into dictBuilder.h. Small files reinforced with dictionaries, deliver better ratio but are kinda bloaty. My point here is to add one more nasty viewpoint for your either small or huge files approaching - the encoding scheme. Needless to say, the big bunch of unicode alone variants bloats the processing a lot, below one UNICODE, the worst of all, example is given: the famous and revered "Большая Советская Энциклопедия" - 30 volumes of Wikipedia-like content - semi-dictionary, semi-encyclopedia. Thanks for the benchmarks, they are indeed very interesting, as it's not frequent to have Cyrillic Unicode content for benchmark. It seems, btw, that `zstd -20` scores pretty well in this test, being only second in compression ratio to `lzma -9` (which is slower). As a minor comment, I don't think it is related to this post's topic, dictionary compression. Dictionary compression is meant to improve compression of small blocks / packets. Here, the sample is very large (> 100 MB) so I guess it's a case of large file compression. It's a valid use case, just a different one. >Here, the sample is very large (> 100 MB) so I guess it's a case of large file compression. It's a valid use case, just a different one. Even more than valid - a serious one it is. >As a minor comment, I don't think it is related to this post's topic, dictionary compression. First, wanted to illustrate how your Zstd delivers awesome results overshadowing Brotli's tricks (Brotli v16-01) - 52,389,046 vs 60,458,801. Second, excuse me, I tend to go off-topic too often, but when I foresee [yet] not arrived difficulties it's natural to me to ambush them. Different character encodings go hand-in-hand with dictionaries, yes? Very important (being Japanese-English) bilingual datasets they are, to tweak a compressor as well. What about Chinese, it would be nice some Chinaman to throw some kilobytes of hieroglyphs at Zstd, no? Again, superb tightness for -20, overpowering brotli 11 - 43,545,917 vs 45,510,754. Third, the strong ratio yielded by -20 suggests the need for arrival of more aggressive modes, say 30, why not? Compression rates at 1KB/s scare me not, at all. Coolness rises as Zstd enters higher modes. Icy stuff. So you wanted to underline that file containing non-english text content would not benefit from a compressor using english-oriented dictionary. Yes, you are right, this is a good illustration of : "there is no universal dictionary". > the strong ratio yielded by -20 suggests the need for arrival of more aggressive modes, say 30, why not? >So you wanted to underline that file containing non-english text content would not benefit from a compressor using english-oriented dictionary. Sure, but not that, I meant that character encodings along with dedicated dictionaries not only for natural languages but for descriptive/unnatural ones form a duo that bloats the implementation, the other thing was that ANS perhaps need NOT additional support for not kilobytish data, in my view ANS is planet-breaking, not merely ground-breaking. It alone can do amazing [de]compression with finess, LzTurbo -39 and Zstd proved already that while and not being burdened by patches/dictionaries/tricks and other bloated overhead. For small files and having many dictionaries (with adequate encodings) the benefit will be there but then the simplicity goes out of the window. Thanks, I will, sharing your experience/views freely rocks. I see you target some small content in range 4-32KB, but in my world the atomic size is the size of a generic novel, or ~500KB. My secondary target is Wikipedia 50,000,000KB. My tertiary target is n-grams corpora 500,000,000KB. Long ago I ran out of drive space, those ~500GB n-grams along with my 2+TB of x-grams cry for a f-f-fast decompressor. To me, Zstd -20 smokes Brotli 11, both in novels and corpora datasets. For the definitive English philosophical/religious corpus 'Sacred-Texts' mode 20 bends a knee before Brotli's 11, maybe 22 will do. Performance for ~800 popular novels tarred is very indicative of the real power of one [de]compressor. By the way, the context of the two Russian corpora is military/action/detective/criminal/antiterrorism. SPETSNAZ stands for 'special forces' or 'special designation' - the elite of army/navy. Many good movies were filmed based on those books, so the texts are fully ... operational not some nonsensical dump. I am short of computational power, otherwise I would have juxtaposed 100+ datasets using 3-4 generations CPU-RAM subsystems already. Grmbl. Superfast is Zstd, the tests show that 21 brings more, achieving such superb results WITH SO LITTLE RAM FOOTPRINT is extra-superb, something, Yann, you should emphasize on paper in future, I mean as XZ reports in verbose mode (needed RAM for compression), my 2 cents. A quick juxtaposition between Brotli/Zstd/LZ5/Goldenboy, latest (bro_Feb-10-2016, 0.5.1, 1.4) revisions. Being a Nobel Prize laureate means ... Thomas Mann should be included in every textual benchmark. Thanks for these very interesting detailed results Sanmayce. We expect next version (0.6.0) to produce noticeably better compression ratio on small files. Hopefully, it will show on your compression corpus. Hi again, just tested your stronger v0.6.0, for the first time I see Zstd outperforming LzTurbo v1.3, the file is semi-small, namely, 'the_meaning_of_zen.pdf' 54,272 bytes in size, not some mumbo-jumbo but an excellent book excerpt by MATSUMOTO Shirõ. Maybe, on newer CPUs with more caches those ~200MB/s will jump considerably. On a try-and-fail note, hee-hee, I tried only YMM registers variant of Nakamichi reading/writing within 1MB window, it disappoints, 2x/3x slower than Conor's LZSSE2 level 17. "Store forwarding is one clock cycle faster on Skylake than on previous processors. Store forwarding is the time it takes to read from a memory address immediately after writing to the same address." This very line prompted me to write this YMM variant, maybe Skylake will execute Tsubame faster than the ... mobile ... Sandy-Bridge, ugh. Thanks for your interesting tests. You were right on your analysis, your previous comment has been automatically categorized as spam, probably due to presence of links.